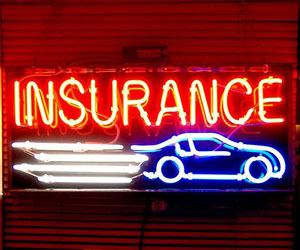 Seven types of motor insurance, which ones do you really need ? The cost of even a small repair makes motor vehicle insurance nice to have. When we start adding in the medical expenses that can go with a car accident, insurance becomes downright necessary. In many states, motor car insurance is even a legal requirement before you can drive your car out on the road, so check the motor insurance quote when you want to purchase. But a wide variety of options are available when it comes to motor vehicles insurance, there are actually seven different types of car insurance you can choose from in most cases, and it can be difficult to decide just what type of motor insurance is the best choice for you, your vehicle and your budget. Here is a list of the seven types and what you need to know about each one. 1. Motor vehicle liability insurance : when your state requires that you carry some sort of insurance motor for your car, they’re usually looking for liability insurance. In the event that you are in a car accident and the police decide it is your fault, liability insurance covers the cost of repairing any property damaged in the crash (such as cars or buildings), as well as the medical bills from resulting injuries. Most states have a minimum requirement for liability insurance coverage that you absolutely must have. However, it usually makes sense to go beyond that minimum requirement if you can afford the payment. That’s because you are personally responsible for any claims that exceed your coverage’s upper limit. In the event that you are in an accident, you don’t want to run the risk of having to pay a significant amount of money out of your own pocket. How much liability insurance you need depends on whether you have a lot of assets to protect, as it is more important to have higher levels of coverage just in case of a catastrophe. 2. Collision insurance : the biggest problem with carrying only liability insurance is that if there is an accident, you may wind up without the money to repair your own vehicle. A collision motor vehicle insurance policy makes it so that someone else, your motor vehicle insurers, will pay for the repairs to your car. If your car is totaled in an accident, a collision insurance policy will pay out the value of your car. While the payout won’t cover for a brand new vehicle, the sum will equal approximately what the car was worth before the accident. Collision insurance isn’t a must have, as far as insurance goes. If your car is older, it may not be worth paying for insurance, especially if you can work on saving up enough to replace the car if necessary. If you have a good sized emergency fund, you may be safe without collision insurance. If you’ve chosen a more expensive car or your car is relatively new, however, collision insurance can help you sleep much better at night. 3. Comprehensive insurance : liability and collision insurance policies exclusively cover car accidents. If something else happens to your car, weather damage, theft, an animal collision, you won’t be able to get your insurance company to address the problem. With a comprehensive insurance policy, however, your insurer will handle just about any situation that comes up. A comprehensive insurance policy is one of those things that are nice to have. However, motor insurance coverage can be pricey and may not be worthwhile if your car would be relatively easy for you to replace, if you had to. Note though that you can bring down the price of this policy if your vehicle has an anti theft and tracking devices installed. 4. Uninsured motorist protection : just because the law requires everyone to have commercial motor insurance doesn’t actually mean that’s the way things work out. Even if a driver has a liability insurance policy, most states have relatively low minimums that may not cover all of the expenses that can go along with an accident. One of the worst things that can happen is that you get stuck with the bills in an accident that wasn’t even your fault. The decision to get a policy that covers damage by an uninsured motorist isn’t as clear cut as other policies. In theory, even if a driver doesn’t have enough insurance to cover damages during an accident, he will still have an obligation to cover the costs out of pocket. It’s only when the person at fault doesn’t have any money that there can be problems. 5. Medical / personal injury protection : The costs associated with treating injuries after a car accident can be astronomical. In order to cover those costs, medical and personal injury protection is available. No matter who is at fault, such protection will cover your medical bills along with those of your passengers. If you have a good health insurance plan, however, it’s far less likely that medical and personal injury protection will be useful to you. And considering how much more a general health insurance policy covers, it should be your first choice. 6. No fault insurance : so far, no fault insurance is available in twelve states. This option covers injuries and property damage, no matter who is ultimately responsible for a given accident. The decision to choose no fault insurance really depends on what other commercial motor vehicle insurance options are available to you and at what price. Some no fault policies can be expensive, making it more cost effective to choose other options, especially if your car is inexpensive to replace. 7. Gap insurance : if you are still making car payments, gap insurance may be a good choice. It’s meant for drivers who still owe money on their cars and need to pay off the vehicle if it is totaled in an accident. It’s generally a good choice if you owe more on your car than you could easily pay off on short notice. Gap insurance is especially worthwhile if you owe more on the car than you could get for it if you sold it today, since many insurance policies will only cover the value of the car, rather than the cost to replace it. Some lenders may require you to have gap insurance or something similar until you pay off the vehicle, so you may already have it whether you know it or not. Do you have the right car insurance ? Drivers often miss out on the best deals. Here’s how not to make that mistake. Motor insurance is inherently tricky to navigate because you don’t find out just how well it works (or doesn’t) until you have an accident. And if you’re lucky, that doesn’t happen too often. So how do you know if you have the right kind of vehicle insurance for your budget and lifestyle ? When choosing a policy, start by asking friends for recommendations. “It always makes sense to first ask people who you respect who they have motor insurance with, and if they were happy when they had motor vehicle insurance claims”, says Jeanne Salvatore, spokeswoman for the Insurance information institute, an industry group. Strangers can also offer useful advice. People often take their complaints about vehicle insurance to social media, blogs and other websites. Search for posts on Twitter using the hashtag for the company you are considering. The National association of insurance commissioners and the Center for insurance policy and research makes it easy to find formal complaints that have been lodged against companies in the motor vehicle insurance database. State buyer’s guides are another resource. States release detailed guides for purchasing motor insurance that explain the ins and out of property damage as well as collision and comprehensive coverage. “Get the buyer’s guide, don’t just go to some agent”, recommends Bob Hunter, director of insurance at the Consumer federation of America. Those buyer’s guides also outline the minimum required coverage and what factors influence your insurance rates, from driving records to how you use the vehicle. When comparing policy prices, be sure to compare similar policies, cautions Phil Reed, senior consumer advice editor. Motor vehicle warranty insurance vary by length of time, level of service and an array of add ons, he says. Instead of just searching the internet to compare motor insurance quotes, Reed recommends getting on the phone with companies and asking questions, too. Certain car safety features, such as alarm systems or anti lock breaks, can help lower your rate. At the same time, there’s no need to obsess about constantly chasing a better deal. Jeff Blyskal, senior writer at Consumer reports, says when the magazine asked readers to try to get a better deal with a competing insurance provider, only 12 percent of respondents were able to do so. That’s despite the slew of vehicle insurance advertisements that would have you think a better deal is always just around the corner. Once you’ve settled on an insurance provider, you’ll have the chance to consider various add ons to your policy. In general, the more you pay upfront, the greater the coverage you’ll have. For example, you can opt for a higher deductible in order to minimize your rates, probably a good move for anyone who considers themselves a careful driver and can afford the higher deductible in the event of an accident. You might also want to consider rental coverage. Auto insurance policies often allow you to add on coverage for renting a vehicle while your car is getting fixed after an accident, and if you only have one car, that kind of coverage can pay off. “Every customer who didn’t have rental coverage wished they had it”, says Richard Arca. It typically adds about $20 for six months to a policy, he says. On new and leased cars, gap insurance can also make sense. You’ve might have heard that when you buy a new car, it loses value as soon as you drive it out of the lot. Leased vehicles also often carry a lower fair market value than what you owe on the vehicle. That means in either of those cases, if you total the car, the insurance company will only reimburse you for the car’s fair market value, and you could be out a lot of cash. Gap coverage, which stands for “guaranteed auto protection”, safeguards people from that problem. “It’s highly recommended for people who lease vehicles”, Arca says. Extra liability insurance can also be a smart move, particularly for high net worth individuals who want to protect their assets. While states require drivers to obtain some level of minimum liability insurance, Salvatore says it often makes sense to take out more than is required, in order to make sure your assets are protected in the event of an accident. “You might consider excess or umbrella insurance that applies $1 million in protection above the underlying limit”, she says. Extended warranty policies, which pay for repairs for vehicles that are no longer covered under manufacturer warranty, can be a more difficult decision. Not everyone agrees that extended warranty policies are a good idea. In general, Consumer reports cautions against purchasing them. In a survey of 8,000 car owners with extended service plans several years ago, the organization found that 65 percent said they spent more on the contract than they got back on cost savings. About 4 in 10 respondents said they never used the extended warranty policies at all because they didn’t need them. Whatever final policy options you choose, you might want to consider also getting your homeowners, life and other insurance policies from the same company, because providers will often cut you a deal if you take out multiple policies from them.